Pumpellyite-(Fe2+): Mineral information, data and localities. Named for its relationship to the the members of the pumpellyite group. The suffix was added in 1973 during a redefinition of the species. Raphael Pumpelly [September 8, 1837 Owego, New York, USA – August 10, 1923 Newport, Rhode Island, USA] was an active mining consultant and was professor of Mining Science at Harvard University. 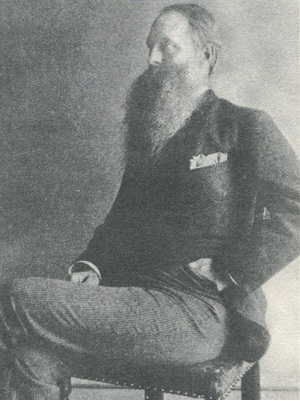 He was appointed director of the New England branch of the United States Geological Survey in 1884. Quartz 9 photos of Pumpellyite-(Fe2+) associated with Quartz on mindat.org. Calcite 8 photos of Pumpellyite-(Fe2+) associated with Calcite on mindat.org. Actinolite 6 photos of Pumpellyite-(Fe2+) associated with Actinolite on mindat.org. Epidote 6 photos of Pumpellyite-(Fe2+) associated with Epidote on mindat.org. Oligoclase 5 photos of Pumpellyite-(Fe2+) associated with Oligoclase on mindat.org. 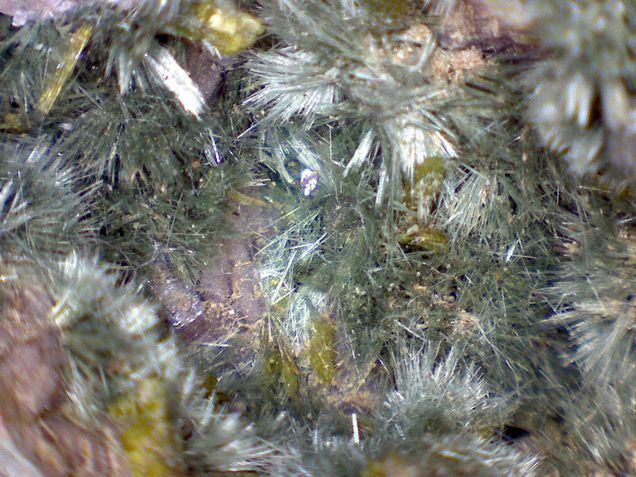 Clinozoisite-Epidote Series 5 photos of Pumpellyite-(Fe2+) associated with Clinozoisite-Epidote Series on mindat.org. Byssolite 3 photos of Pumpellyite-(Fe2+) associated with Byssolite on mindat.org. Apatite 3 photos of Pumpellyite-(Fe2+) associated with Apatite on mindat.org. Feldspar Group 2 photos of Pumpellyite-(Fe2+) associated with Feldspar Group on mindat.org. Hematite 2 photos of Pumpellyite-(Fe2+) associated with Hematite on mindat.org. 58.2.2.1 Julgoldite-(Fe2+) Ca2Fe2+Fe3+2(Si2O7)(SiO4)(OH)2 · H2O Mon. 58.2.2.2 Julgoldite-(Fe3+) Ca2Fe3+Fe3+2(Si2O7)(SiO4)O(OH) · H2O Mon. 58.2.2.3 Okhotskite-(Mg) Ca8(Mn2+,Mg)(Mn3+,Al,Fe3+)(SiO4)(Si2O7)(OH)2 · H2O Mon. 58.2.2.6 Pumpellyite-(Fe3+) Ca2(Fe3+,Mg)(Al,Fe3+)2(Si2O7)(SiO4)(OH,O)2 · H2O Mon. 58.2.2.7 Pumpellyite-(Mg) Ca2MgAl2(Si2O7)(SiO4)(OH)2 · H2O Mon. 58.2.2.8 Pumpellyite-(Mn2+) Ca2Mn2+Al2(Si2O7)(SiO4)(OH)2 · H2O Mon. 58.2.2.9 Shuiskite Ca2MgCr2(Si2O7)(SiO4)(OH)2 · 2H2O Mon. 16.21.8 Pumpellyite-(Fe3+) Ca2(Fe3+,Mg)(Al,Fe3+)2(Si2O7)(SiO4)(OH,O)2 · H2O Mon. Passaglia, E., Gottardi, G. (1973) Crystal chemistry and nomenclature of pumpellyites and julgoldites. The Canadian Mineralogist: 12: 219-223. Dunn, P.J., Fleischer, M., Chao, G.Y., Cabri, L.J., Mandarino, J.A. (1983) New mineral names. 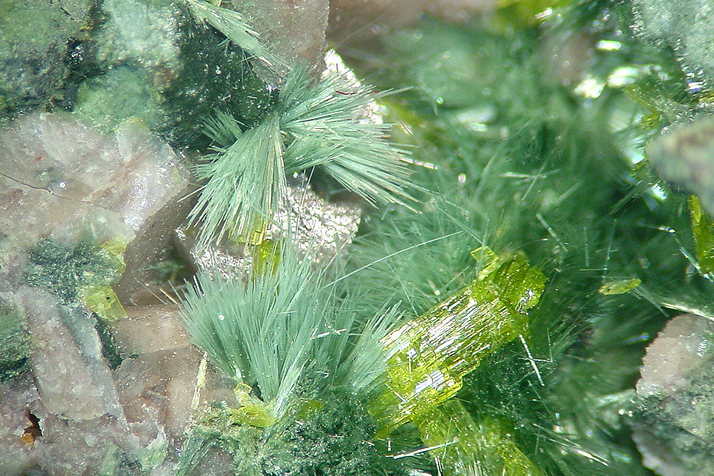 American Mineralogist: 68: 1248-1252. Dehove, J. (2006): Les minéraux de la Carrière de la Flèche, Bertrix, province du Luxembourg, Belgique. Magazine du 4M, 27(261), 7-11. Wise and Moller (1990) Occurrence of Ca-Fe silicate minerals with zeolites in basalt cavities at Bombay, India. European Journal of Mineralogy, v. 2, pp. 875-883. Adorni F., Guelfi F. (1997) - La miniera di Fe e Cu di Corchia, Berceto, Appennino Parmense. - Riv. Min. It. N 3, 217-250. Bedognè, F., Montrasio, A., Sciesa, E. (2006). I minerali della medio-alta Valtellina, delle Orobie valtellinesi e della val Poschiavo. Aggiornamenti sulle altre località della provincia di Sondrio. Tip. Bettini, Sondrio, 255 pp. Grill, E. (1935): I minerali del granito di Baveno, la fayalite. Periodico di Mineralogia, 129-133. - Gallitelli, P. (1936): Le miche del granito di Baveno. . Periodico di Mineralogia, 61-76 - Pagliani, G. (1948): Le Zeoliti del granito di Baveno. Periodico di Mineralogia, 175-188. - Ravagnani, D. (1974): I giacimenti uraniferi italiani - Gruppo Mineralogico Lombardo - Museo Civico di Storia Naturale di Milano, Ed., Milano, 188 pp. - min. Rec. 14 (3), 157-168 - Am. Min. 83, 1330-1334 (1998) - Am. Min. 84, 782-789 (1999). - Guastoni, A. & Pezzotta, F. (2004): Kristiansenite a Baveno, second ritrovamento Mondiale della specie. Rivista Mineralogica Italiana, 4/2004, 247-251. - Guastoni, A., Demartin, F., Pezzotta, F. (2004): Sekaninaite delle pegmatiti granitiche di Feriolo e Baveno (VB). Atti della Società Italiana di Scienze Naturali e del Museo Civico di Storia Naturale di Milano, 145, 59-68. - Mineralogist americano (2005) 90, 1442-1452. Venzo, Z., Bittarello, E., Canal, A., Ciriotti, M.E., Gasparetto, P., Pegoraro, S., Toffolo, L., Tosato, F. (2017): La Cava di granito "Grisotto" in località Pralongo, Valle del Vanoi, Canal San Bovo. Trento. Micro, 15, 1-2017, 44-62. Matsubara et al (1992) Koubutsu-Gakkai Kou'en-Youshi, 161. 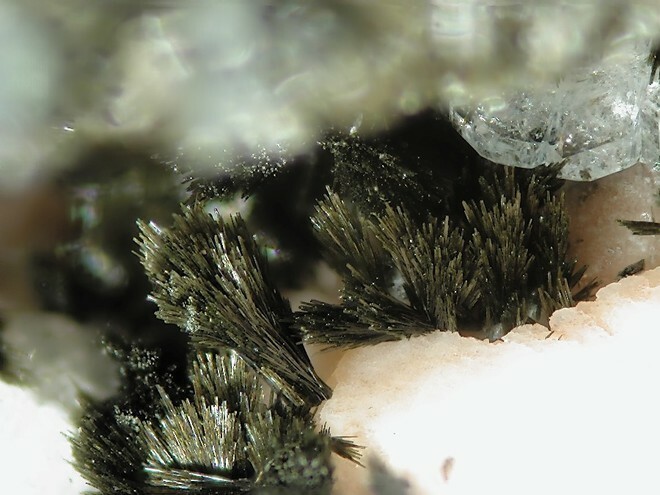 Altherr, R., Soder, C., Meyer, H.-P., Ludwig, T., Böhm, M. (2017): Ardennite within a high-P/T metamorphic conglomerate near Vitoliste in the westernmost Vardar zone, Republic of Macedonia. European Journal of Mineralogy, 29, (in press). Pimentel, Ricardo; Nunes, Rui; De Ascenção Guedes, Roger; Meisser, Nicolas; Martaud, Alain (2009): Minéralogie de la Carrière de Montijos, Portugal. Le Règne Minéral, 87, 13-27. Dokl. Akad. Nauk. U.S.S.R., Earth. Sci. 165 136-139. King, V. and Foord, E., 1994, Mineralogy of Maine, v. 1.